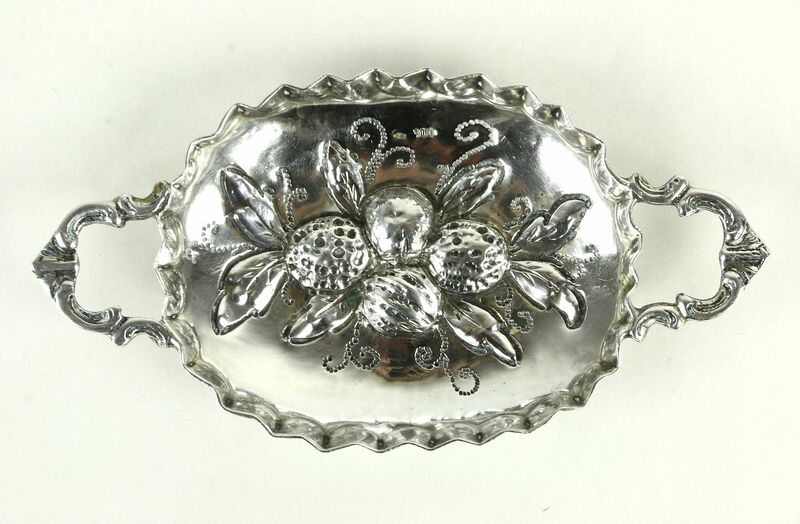 An exquisite miniature ring or jewelry tray or nut dish was hand made during the later 1800's in northern Europe, and is signed "900" for 900/1000 pure silver. This deeply embossed "repousse" or "pushed" design is lovely. We find no maker's signature or hallmark on this antique silver. Size is just over 4" long, 2 1/4" wide and 1/2" tall.